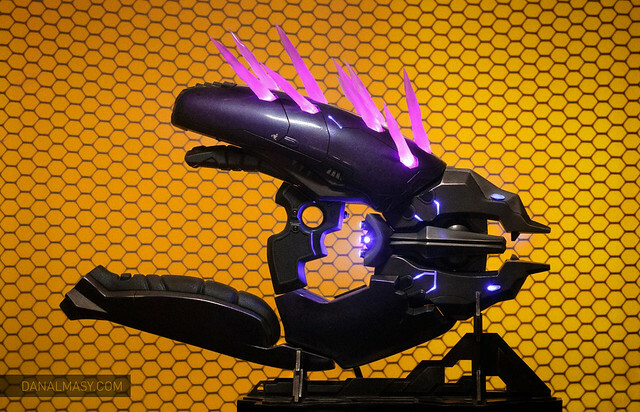 The HALO Needler has been on my personal list of stuff I really want to make since I first played HALO: Combat Evolved back in college. 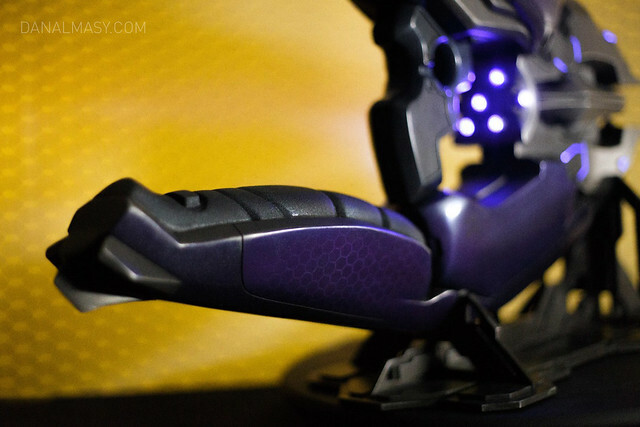 The design has undergone a lot of changes in the past 12 years and 6 HALO titles it has appeared in, but it’s always remained one of my favorites. 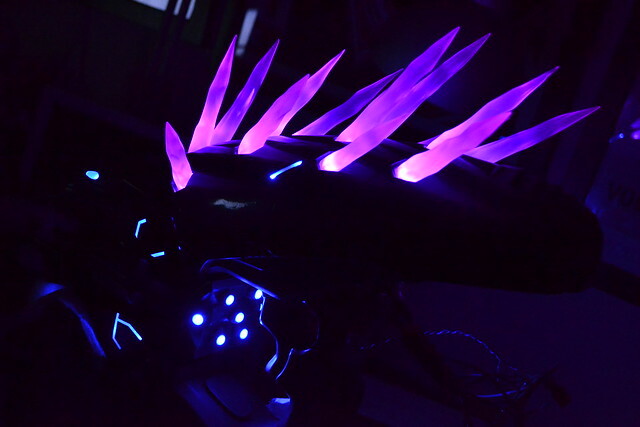 The complexity of this thing rivals that of my Daft Punk helmet replicas, and I couldn’t be happier with the results. 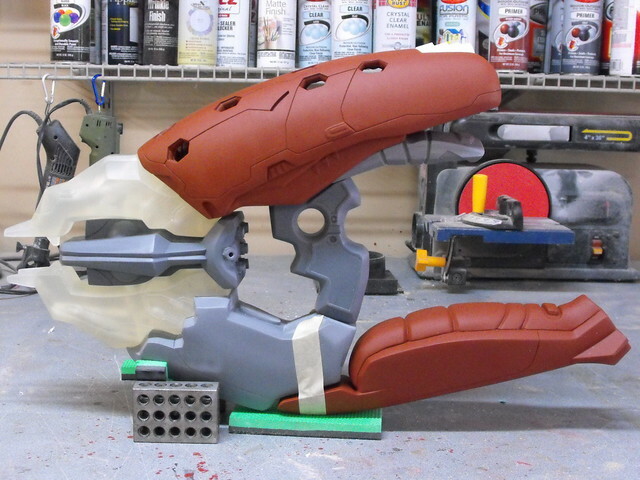 If you’d like to see the whole process unfold before your very eyes in a bit under 4 minutes, then watch as 1400 build photos fly by in this recap video! That’s seven months of project time you’re watching. Introductions – Well, if you’re reading this you probably know who I am and what I do already, but here’s a refresher for that sort of person that read every page in a book down to the publisher’s information. References and Blueprinting – Exactly what it sounds like: how I make my blueprints in Adobe Illustrator and how to gather references from videogames. Also included is information on scaling props proportionally into the real world. 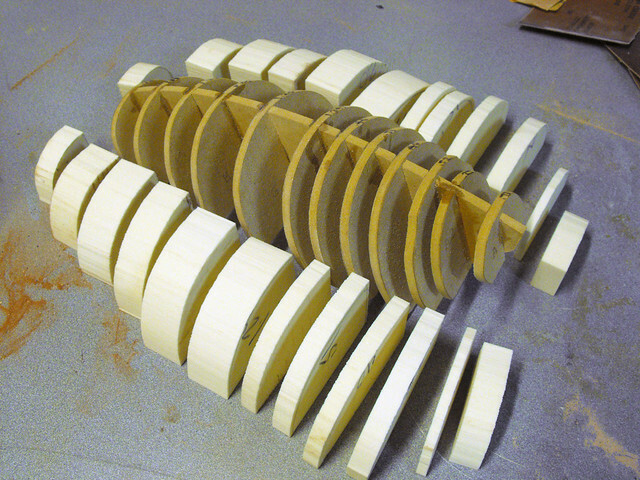 Selecting Materials – Plastics, resins, wood, and glue. 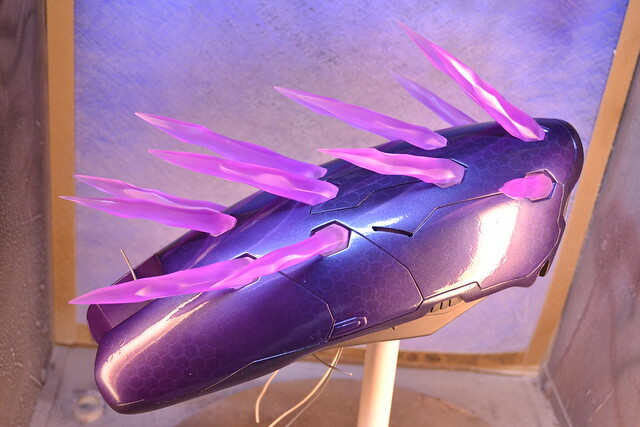 See what I chose to make the Needler out of and why. Also covered are some of my personal favorite materials that get used on nearly every project. Taking Shapes – Details my “slicing” and “ribbing” technique for creating complex geometric forms. 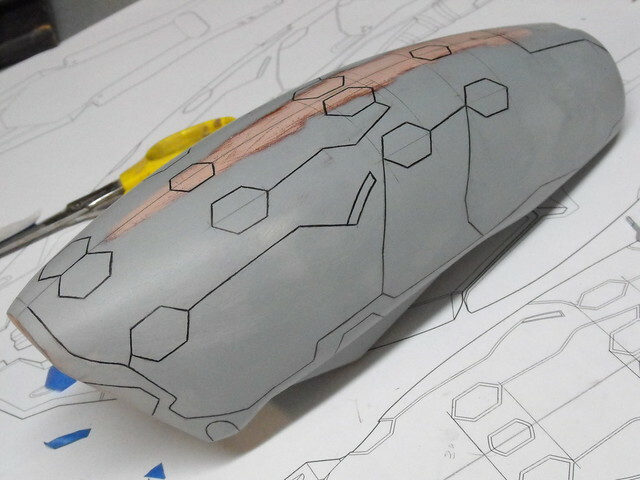 Bondo Strikes Back – Additional shaping of the above step, and how to create symmetrical details such as panel lines and indentations. Details, Accents, Refinements, and Mockups – Taking basic shapes and adding in recessed areas, panel lines, and seamless intersections. 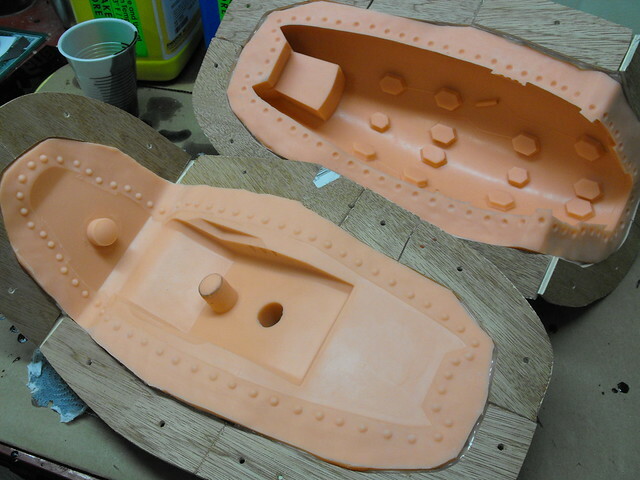 More Complex Moldmaking – Multi-part brush on molds with complex mold jackets. 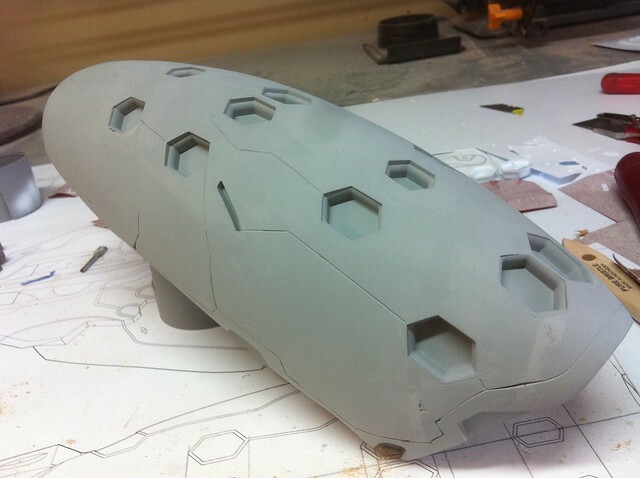 The Casting Process – Creating hollow, clear and tinted resin castings from the molds created for the project. 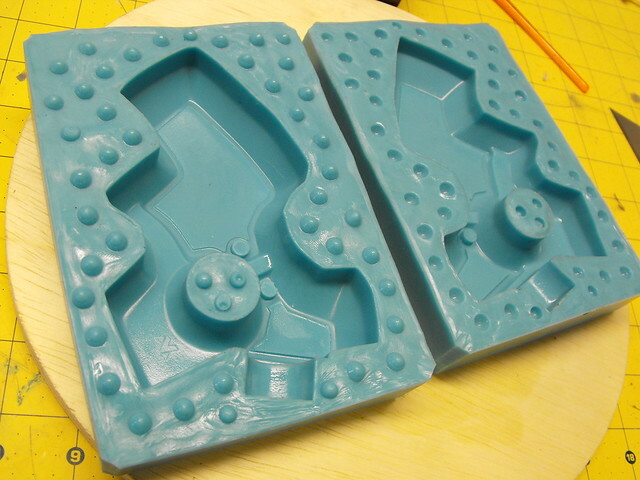 This covers mold prep, slush casting, and various kinds of urethane resins. 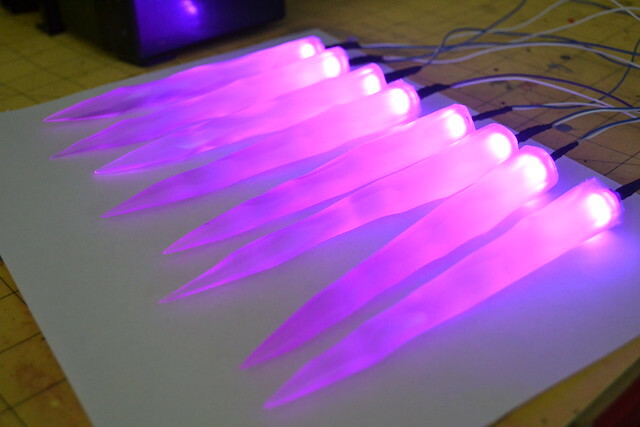 Illumination and Audio – Electronics for illuminated LEDs and a simple audio circuit with embedded amplifier. 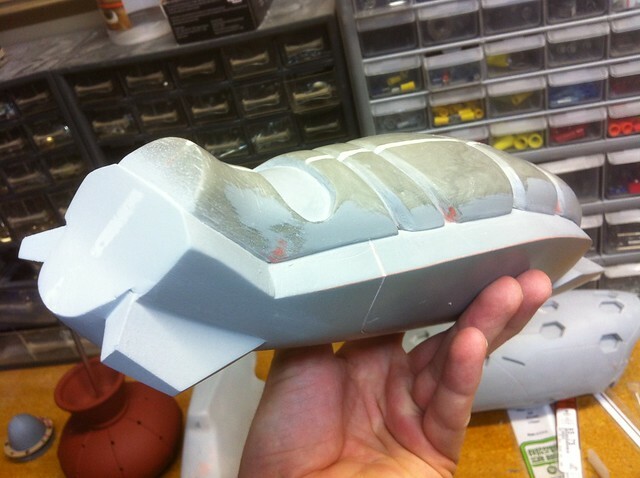 Prepping for Paint – Cleaning up cast parts, priming, and filling casting imperfections. 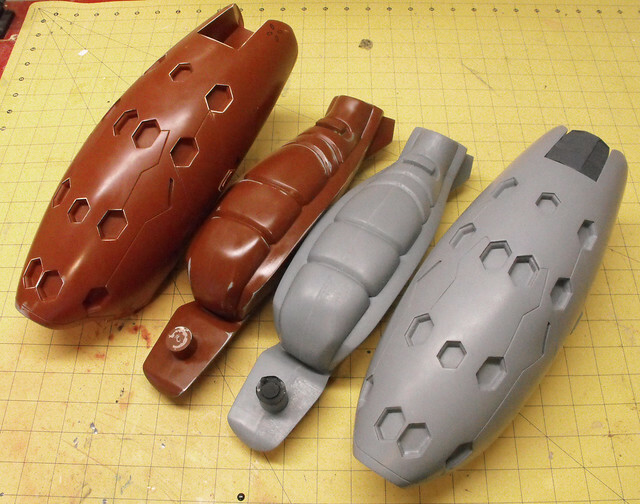 Finally Time to Paint – Basecoating primed parts, airbrushing, complex masking and clearcoat. 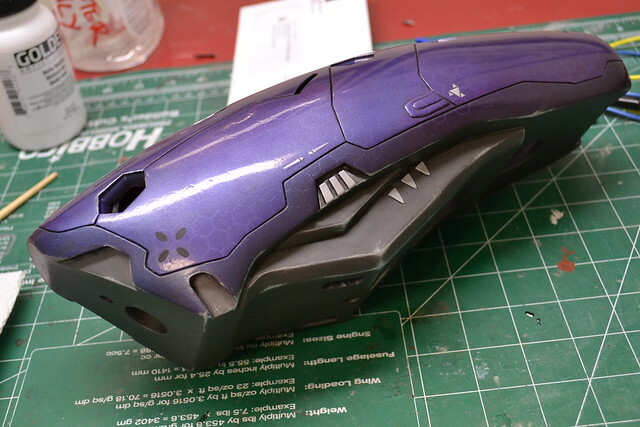 Weathering the Needler – How to avoid the “toy look” by making shiny new stuff look aged and worn. 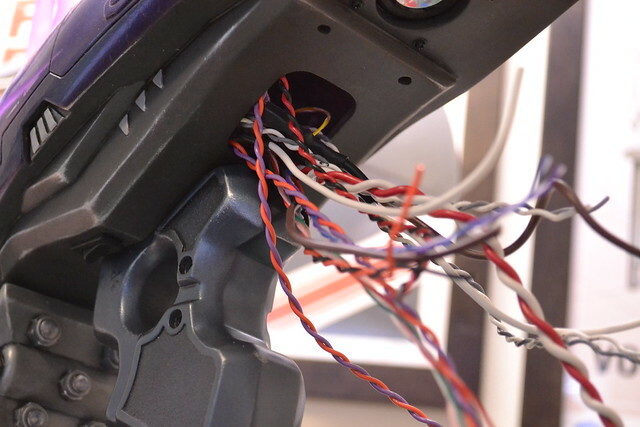 Putting it all together – Epoxy, wiring, soldering, nuts, bolts and screws. 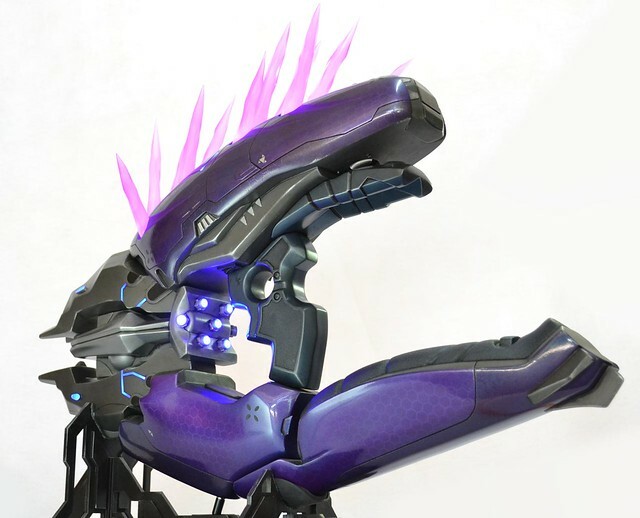 Time to make all these individual parts into one complete Needler! Lessons Learned – Most of the time I really have no idea what I’m doing. Here are a few tips to avoid some of the mistakes I made, as well as a few personal favorite hacks from my bag of tricks. Here’s a few fancy shots of the finished product – watermarked pictures courtesy of Dan Almasy. 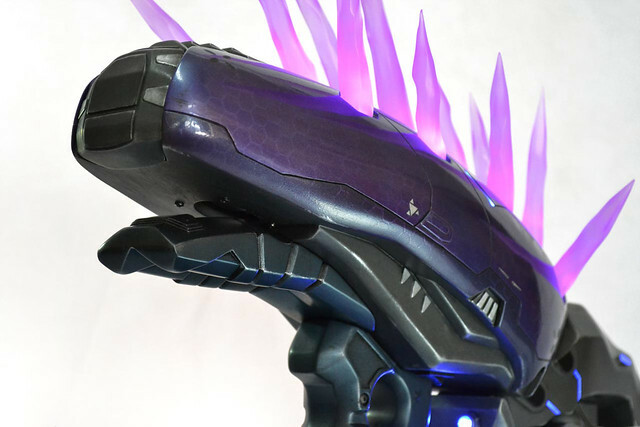 You can find higher res shots of the finished Needler in my portfolio gallery. It’s a very fortunate artist who gets to select the works they are commissioned to build, and I can’t thank the guys at Tested.com enough for sponsoring this project. 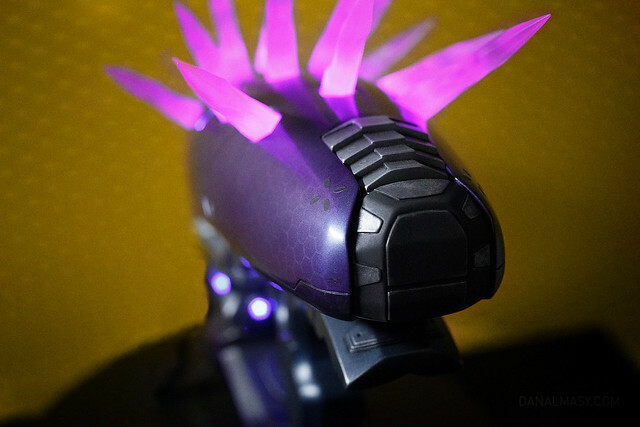 The Needler is something I’ve wanted to bring out into the real world for a very long time now, and I hope the articles above help you to bring your own creation to life as well. As always, thanks for reading!